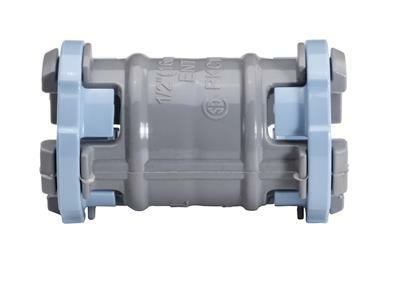 Rated with a pull out resistance of 175 lbs., Topaz’s Schedule 40 PVC ENT Couplings are fabricated from impact resistant, rust proof PVC to ensure long lived performance. With 2 bell ends, the couplings securely join tubing using mechanical snaps, without solvent cement. 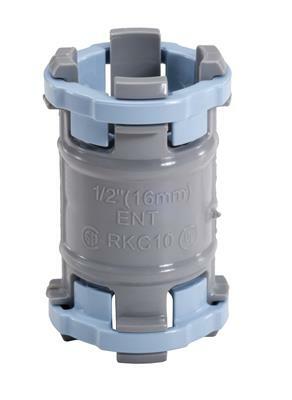 Available in 1/2” to 2” sizes; cULus approved and recommended for use with Topaz ENT Flexible Conduit.